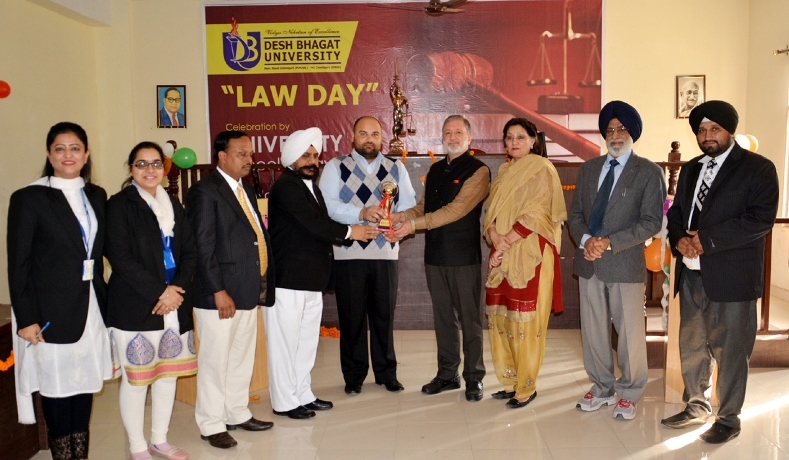 Desh Bhagat University Faculty of Law observed NATIONAL LAW DAY with full enthusiasm. A special programme was organised to celebrate the special occasion, which was inaugurated by University Chancellor Dr. Zora Singh and Pro-Chancellor Ms. Tejinder Kaur. Speaking on the occasion they exhorted the students to work hard to achieve their targets. Mr. Gurpartap Singh, Chief Judicial Magistrate, Fatehgarh Sahib who was the chief guest on this occasion wished all the students a bright future on this particular day. He appreciated the initiative taken by the University for running a free Legal Aid Center for poor and needy people. He also addressed the students of law classes and emphasised the importance of the active role played by judiciary which he described as a pillar of democracy. He also visited the moot court of the department. Director Faculty of Law Dr. S.S. Saluja welcomed the chief guest and said that with the starting of law courses, the university has fulfilled a big need of the students. He also said the knowledge of the rights and duties is a must for every citizen. 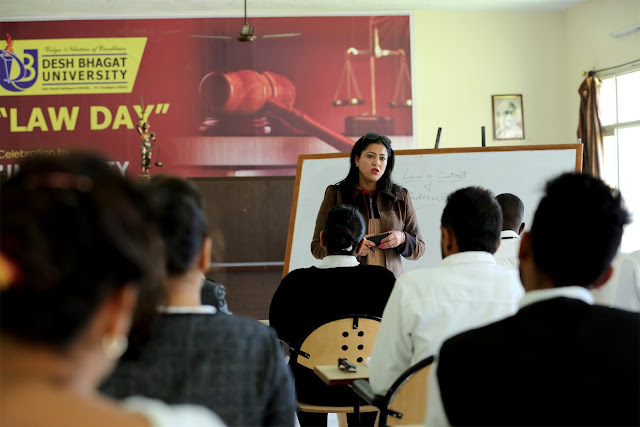 Speaking on the occasion, Manpreet Grewal from Law Department briefed about the importance of Law Day and the activities done by faculty of law to help economically poor sections of the society and women who lack legal aid. The students who had made achievements in different fields were honoured by the Chief Guest. University Vice Chancellor Dr. Shalini Gupta, Registrar Dr. Virinder Singh, Director Faculty of Engineering & Technology Dr. P.S. Cheema, Controller Examinations Dr. I.S. Sethi, faculty members of law and other departments and a large number of students were present on this occasion.